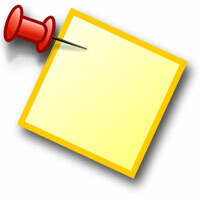 StickyPad is an easy-to-use utility that let you to place sticky notes (post it notes) on the screen of your PC. This free sticky notes software allow you to write notes for yourself, set appointment and meeting reminders, keep an eye on a to-do list, and lots more. You can also print your notes, paste into other applications, or even email to your team. Notes can also be set as translucent and can float above other windows attached with your system, so that you can have a look on your notes while working on some other tasks. Even when you log out and login back, your notes are still there kept safely by the StickyPad. Just try it once and I am pretty sure that you won’t even want to work without the StickyPad program. The latest version of StickyPad comes with a huge collection of new features, like shortcut keys, to enable you to write sticky notes without even using the mouse, and serves as a great time-saver utility for the keyboard jockeys. The new versions also embedded with an efficient help system in case you need some troubleshooting / help. Please note that StickyPad works best with English and some other Western European languages. As of now, this product is free of any charges. It does not have any spyware, viruses, advertisements, or bundled extras and itâ€™s not a trial version. First you need to download and install the StickyPad setup file. To download, click the “Download setup file” button. When asked, specify whether you want to Run or Open the file. All the installation process will be completed by the Green Eclipse WebSetup and the additional files (if any) will also be automatically downloaded. How to disable Skype auto start in Mac?